If you manage a retail business, then you already know how hard it can be to keep up with the competition. No matter where your business is located, chances are that there is another retail business attempting to do or sell the same things as you. However, you can stand out from the competition and take your business to the next level with the right marketing. For example, a properly managed retail ppc campaign, retail SEM, and retail paid search can all make a major, positive difference in the success of your business. If some or even all of these terms are new to you, don’t panic. Here at Look to the Right, we’ve got you covered, no matter what your needs. We are made up of certified Google advertising experts who can help take your business to the next level. And, whether you wish to utilize some or all of our services, we can get you the results you want. Our pay-per-click (PPC) campaigns create powerful ads that get results for clients. Meanwhile, we know how to use paid search for retail and search engine management (SEM) to ensure your business page is always one of the first results people see when searching for relevant terms. If you want to make your presence known on the web, bring in new business, and stay in the minds of your current clients, let Look to the Right help you. You’ll be thrilled and surprised at all you can accomplish when you let the experts lead you. Research-driven keyword selection. We dig deep to determine what keywords and keyword combos are the most likely to draw target-market visitors to your site. Google Ads Management. 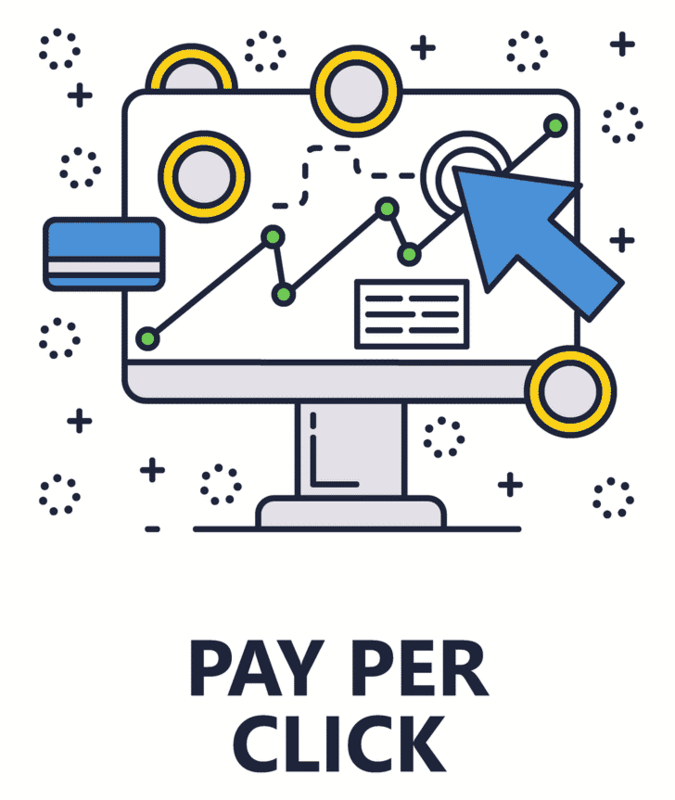 Our PPC services include adjusting and creating ad text as needed, altering bids and keywords as needed, and taking steps to improve your quality rating. Ads. We then use this information to understand why and how people visit your site, as well as who is visiting, information we then use to more effectively market your business. While all of these things are great, they are actually just a few of the many, many ways in which we can help your business! As you can see, there’s a lot we can do to help your retail business succeed. To learn how we can help your business specifically, contact us today. We’ll schedule a meeting to talk about your business, your goals, and the budget you’re working with. Don’t worry. We can work with anyone and any budget. After this no-pressure meeting, if you decide to continue working with us, we’ll work together to plan your marketing strategies and then launch the campaigns you’ve opted for. From there, we’ll manage your campaign carefully and keep you in the loop with everything that’s happening. If you’re ready to get started on this exciting process, we urge you to reach out today. The sooner we hear from you, the sooner we can help!